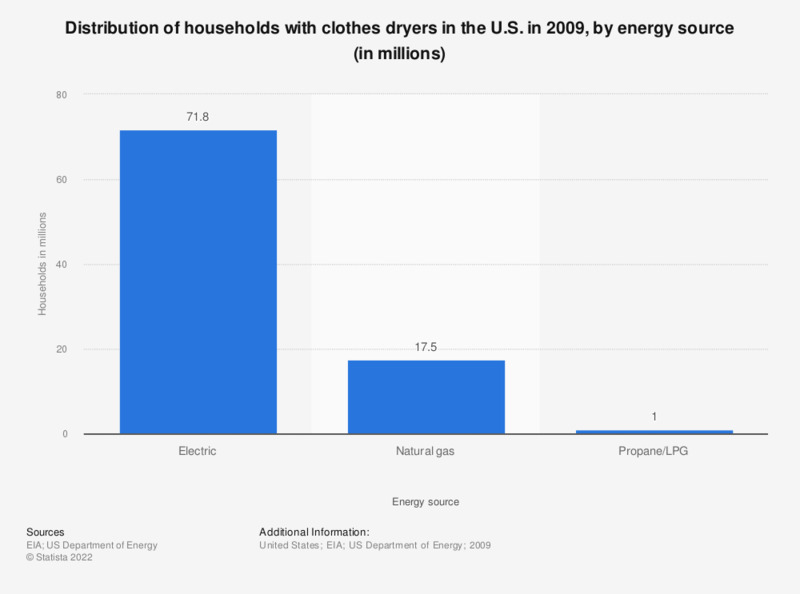 The statistic illustrates the number of households with clothes dryers in the United States in 2009, by energy source. In 2009, 71.8 million U.S. households owned a electric clothes dryer. As of 2009, almost 80 percent of U.S. households had a clothes dryer.